During the eighteen years my husband and I and the kids lived in Austin, Texas, it snowed only twice—and melted the next day in both cases. So you can imagine our excitement our first winter in North Carolina, when we learned a major snowstorm was on the way. Unfortunately we couldn’t have been less prepared. We had no rock salt or sand for the sidewalks, no shovel to clear them and perilously few supplies. Gamely, we ran out to get milk, bread and a bag of rock salt. (We didn’t get a shovel because we didn’t really think we’d need one.) We put our eldest daughter on a plane back to college. And settled in with our other two children, for a “few inches” of snow. Those “few inches” turned into a record-breaking blizzard delivered in three separate back-to-back storms that closed schools and businesses for a week. During that time, as my family and I struggled to dig our way out of the driveway with a garden shovel, a hoe, a rake and other assorted garden tools, I found myself doing plenty of daydreaming. What if a runaway bride, a schoolteacher on a fieldtrip and a young mother with her baby got stranded in a snowstorm, at the worst possible times, in the best possible places, with the men of their dreams? The result: Three new romantic comedies— SNOWBOUND BRIDE, HOT CHOCOLATE HONEYMOON and SNOW BABY. Since then, there have been other storms, and other series—the famous McCabes of Texas, among them. But every time we do get back- to- back winter storms in North Carolina, I think about the stories I wrote that might not ever have come to fruition had it not been for all that snow, sleet, and ice. And the beautiful winter days that followed, when thanks to the still-bad-roads and mountains of accumulation, everything was still at a standstill. 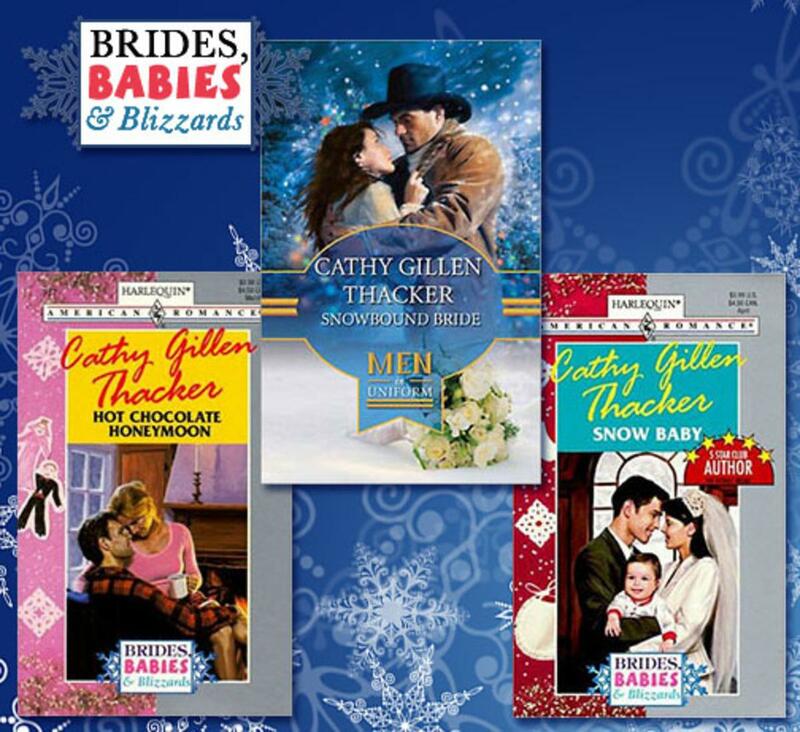 I hope you enjoy reading all three books in my trilogy, BRIDES, BABIES & BLIZZARDS, as much as I enjoyed writing them. Best wishes, always. And stay warm!